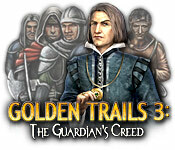 Golden Trails 3: The Guardian's Creed is rated 4.3 out of 5 by 74. Rated 5 out of 5 by Mommish from Totally Hidden I love this game! The objects are well hidden and the mini games are fun. Rated 5 out of 5 by pennmom36 from Golden Trails 3: The Guardian's Creed Jacques wakes up in a tavern with no recollection on how he got there, (not uncommon) to add to his confusion, there is a strange seal branded on his arm! Jacques is determined to put the pieces back together to find out what happened the night before. All Golden Trails games are unique, different than any other HO game, but all three games have the same features. You choose different locations to search for some very well concealed or blended items, some of those items will go into your inventory list to be used at some point in the game. Items outlined in blue require the use of an inventory item, and you may have to visit another location to find or use that inventory item. 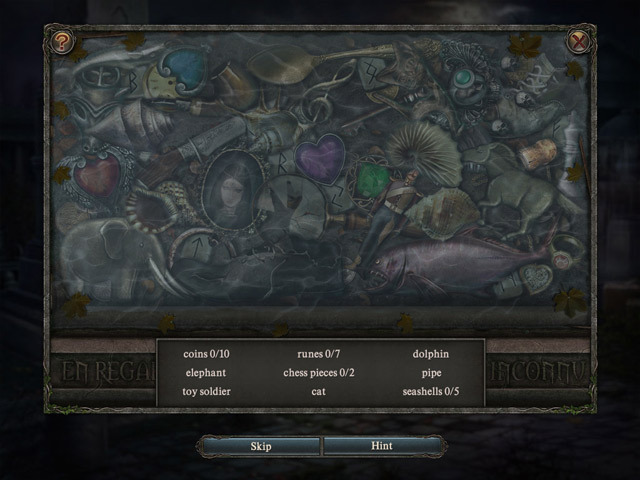 Items outlined in yellow usually just require a click to expose the item inside or behind, and items that sparkle usually have a really fun mini game to solve to proceed such as finding 16 beads to repair a necklace or a Hidden Object Scene where you can move items around to find items underneath. Bandits will pop up throughout the game and your cursor will turn into a gun so you can shoot the bandits for extra hints! There are several Achievements or Trophies to earn for accomplishments such as collecting a specific number of items, completing levels without using hints and accuracy clicking from 5-30 items without misclicks. 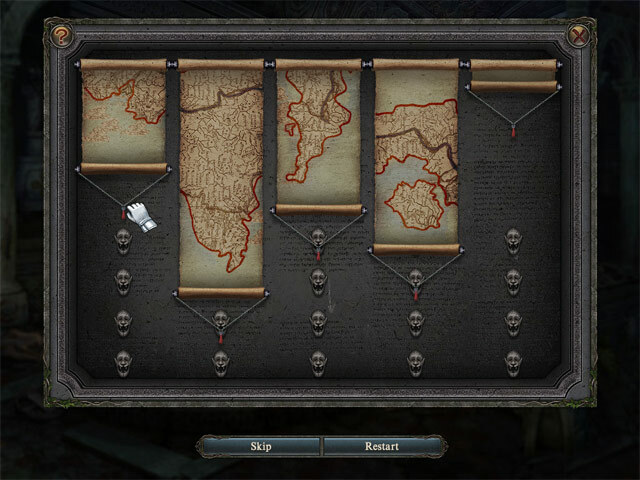 Each scene contains a lost or missing item that will twinkle when your cursor hovers over the item (there's an achievement for finding all 21 lost items, and each scene contains several hidden Fleur-de-lis symbols (250 total) if you find 150, a secret mission is unlocked. I recommend all 3 Golden Trails games, but I must say I'm partial to Golden Trails 2: The Lost Legacy mostly because I liked the storyline, but the hidden items are very challenging to find, and the hidden Clovers were sometimes even harder to find. I wish these devs would consider a fourth edition, the game never gets old, I have replayed all three games several times, enjoy! Rated 5 out of 5 by arnold1049 from NEVER A DULL MOMENT There are so many things to do in this game that I was never bored for even a minute. 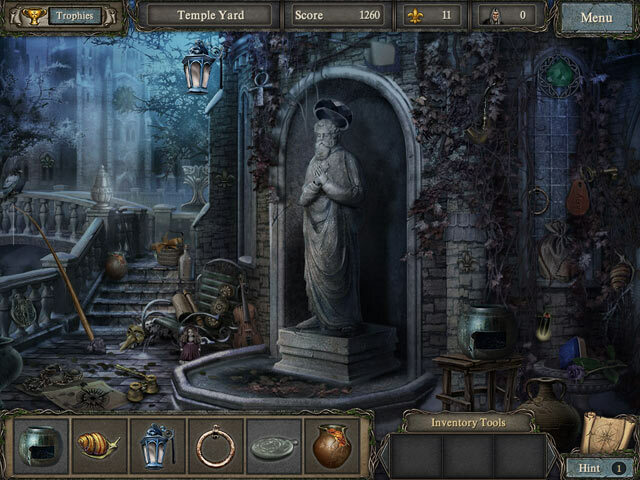 There are achievements to be won, fleur-de-lis to collect, lots of different puzzles, all on top of the hidden object searches. I actually played the game all the way through twice, because at the end of the first time around, I had not collected all the fleur-de-lis nor won all the achievements. The game actually gave me the ability to play again while keeping all the items I had already won. However, in order to play the unlimited mode, even though I had done everything I needed to do the first time around, starting over again locked certain scenes in the unlimited mode until I finished the game again. But I enjoyed the game so much, that wasn't a problem. I was unable to win 3 of the achievements: play the game all the way through once without exiting; collecting all the fleur-de-lis the first time through; and not skipping any puzzles. Not bad for a great-grandma. Rated 5 out of 5 by Nutmeg611 from More like this please! This is my favorite BFG game EVER!!! Please, BigFish--get the game producer to come up with many more like this ASAP! I love the collectibles and the difficulty level and the originality. Just the best!